I recently took a trip to the Suwannee River. The name of the river became quite popular during the 19th Century when Stephen Foster wrote a song for the minstrel show in 1851. Here is an odd tidbit, Stephen Foster never visited the Suwannee and in his song he changed the spelling of the name to Swanee. 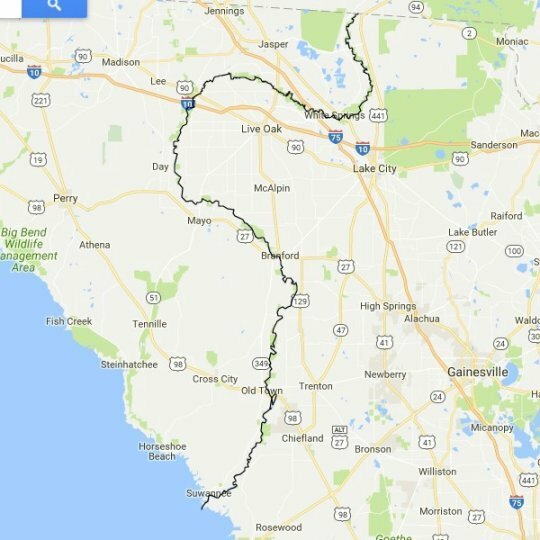 The river starts in southern GA and works it's way through a large section of Florida until it reaches the Gulf of Mexico. Here's a map of the river. During the 19th Century and early part of the 20th Century Steamboats ran up and down the river. One of the steamboats named Madison made it as high as White Springs during a heavy rain storm, raising the river high enough for the boat to travel that high up. Primarily the steamboats stopped in the abandoned town of Ellaville. All that remains of Ellaville today is a cemetery. From that point north the Suwannee canoe enthusiasts love the river. Sulfur Springs were discovered on the river and folks from all over came to bath in the springs for their health. A bath house was built and the ruins still remain. Here's a shot of the river on the other side of the wall. During the Civil War the south worked hard to protect their bridges from the north. In the Ellaville area the confederate soldiers dug out an earthen fort on both sides of the bridge. The Northern troops didn't make it that far because they lost at Olustee and headed back to Jacksonville. One of the earthen forts still exists at the Suwannee River State Park. Also at the fort you can see some of the gears from an old steamboat. Today you won't find steamboats running up and down the river but you will find canoes, fishing boats and family recreational boats. If you plan on traveling on the river look carefully for the Manatee who make their home on the Suwannee during the winter months because most of the springs stay 72 degrees year round. Here's a picture of the sun setting on the Suwannee. 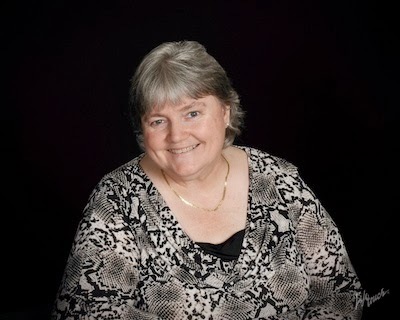 Lynn A. Coleman is an award winning & best-selling author who makes her home in Keystone Heights, Florida, with her husband of 43 years. Lynn's latest novel is a collection of three. Brides of Kentucky She also released a novella this month The Matchmaker Brides Collection Lynn's novella is titled "The Tinman's Match"
Great post! Thanks for the information! Wasn't sure if Suwanee and Swanee were the same, thanks for clarifying that! As always some interesting information.